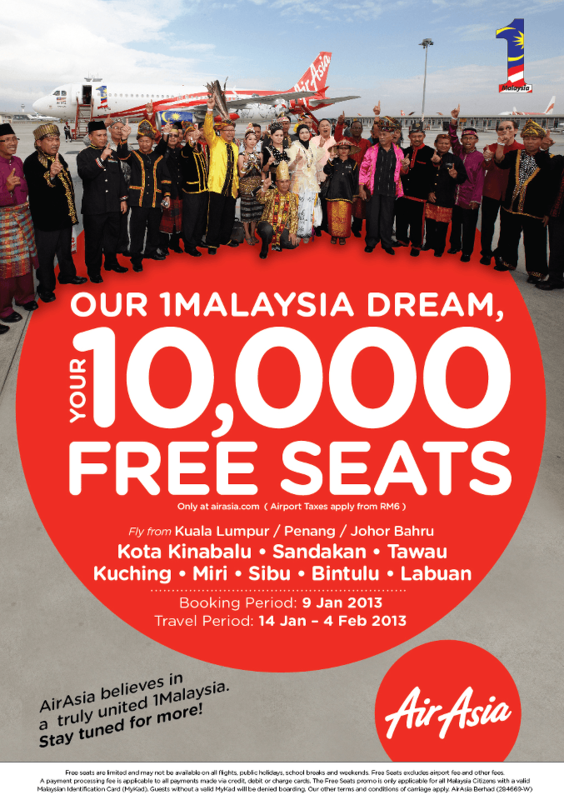 AirAsia 1Malaysia Dream 10,000 Free Seats Start NOW! The free seats are only valid for flights departing from Sabah (Kota Kinabalu, Labuan, Sandakan, Tawau), Sarawak (Kuching, Miri, Sibu, Bintulu) to Kuala Lumpur, Penang and Johor Baru. And from Kuala Lumpur, Penang and Johor Baru to Sabah (Kota Kinabalu, Labuan, Sandakan, Tawau), Sarawak (Kuching, Miri, Sibu, Bintulu). This entry was posted in Transport & Travel and tagged AirAsia, east malaysia, Flight Ticket, free flight, peninsular malaysia on January 9, 2013 by RMvalues. Brunei International Airport (Malay: Lapangan Terbang Antarabangsa Brunei; Jawi: لاڤڠن تربڠ انتارابڠسا بروني ) (IATA code: BWN) is the only airport that AirAsia landed on Brunei Darussalam. 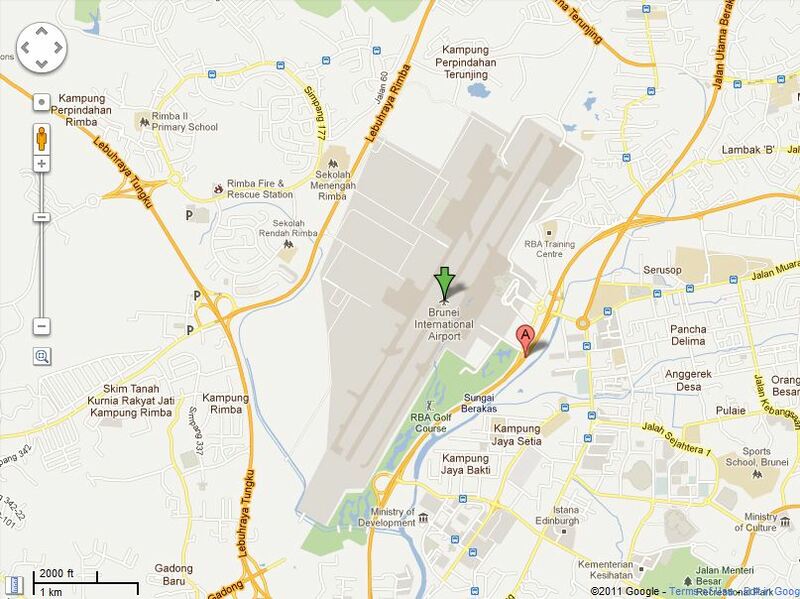 The airport location is 4° 56′ 39″ N, 114° 55′ 42″ E or you can simply enter 4.944167, 114.928333 into your GPS device to locate it. Official language in Brunei is Malay, however, English is also widely spoken. Malaysian can stay up to 14 days without visa. This entry was posted in Transport & Travel and tagged AirAsia, Bandar Seri Begawan, Brunei, budget airlines, destination on October 19, 2011 by RMvalues. This entry was posted in Transport & Travel and tagged AirAsia, AirAsia X, budget airlines, destination, flight on October 18, 2011 by RMvalues.